The tables below provide the SAFE ranges (in age and metallicity) for a given isochrone, for all model predictions in our website. 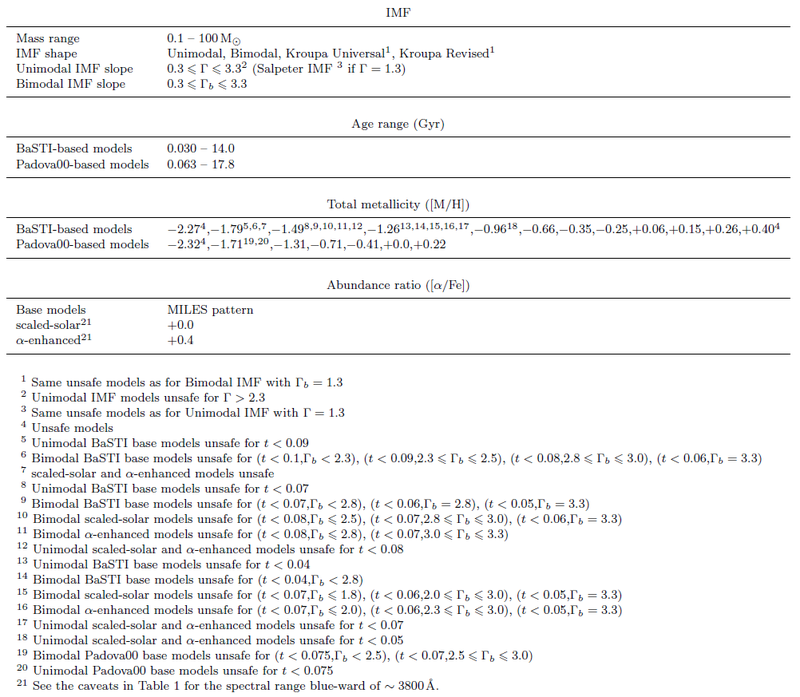 Safe and unsafe models with Bimodal IMF and varying slopes as marked within the plot. 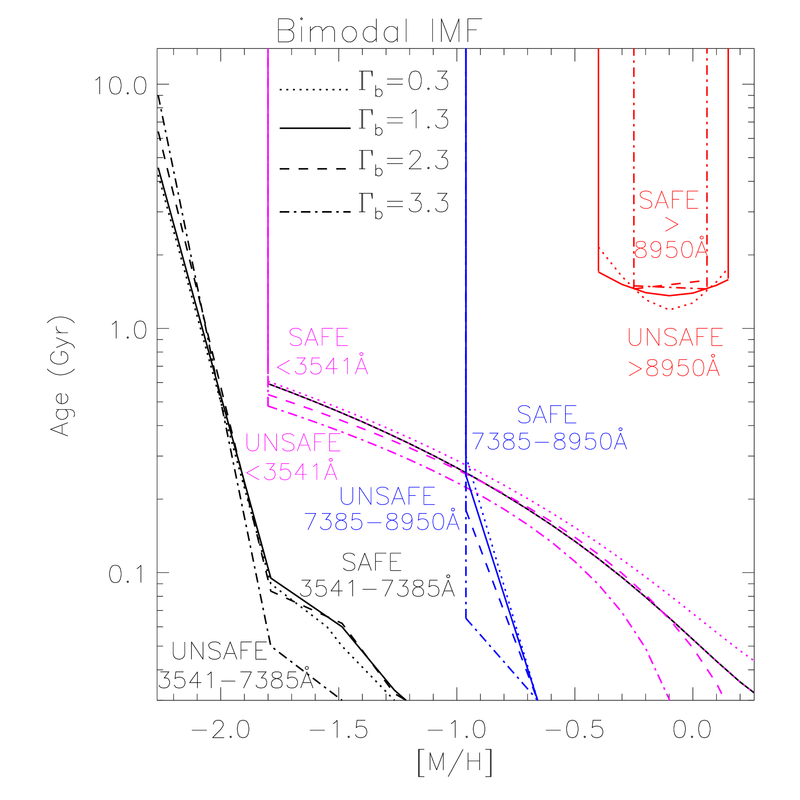 Different colours are employed to indicate the boundary between the safe and unsafe age and metallicity ranges for each spectral range covered by the E-MILES models: BLACK for the MILES base models covering the visible, MAGENTA for the NGSL based predictions blueward the MILES range, BLUE for the spectral range computed on the basis of both the Indo-US and CaT stellar libraries, i.e. 7385-8950A, and RED for the IRTF based predictions redward 8950A. These boundaries apply to the models computed with the two sets of isochrones feeding our models.